Where we treat you like family. Since 1945. Since 1945, Tire Mart has serviced the automotive repair, tire, and wheel needs of customers in Brookville, IN, Oxford, OH, and Connersville, IN. Over the past years we have expanded into 3 locations in Brookville, IN, Connersville, IN, and Batesville, IN. 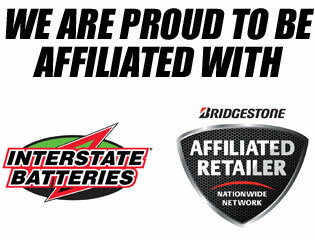 At every TIA-certified Tire Mart location, we offer a full line of competitively priced tires from the industry’s leading tire brands, like Bridgestone, Firestone, and Mastercraft. Our highly trained mechanics are trained to accurately diagnose and repair automotive issues while providing you with honest customer service. We also sell and service GE appliances, like refrigerators, washers, freezers, and more. View our online locations list for a full list of addresses and accompanying hours of operations. Come into any Tire Mart location for a quote on an automotive repair service or a set of tires, or simply schedule your next appointment with us online.